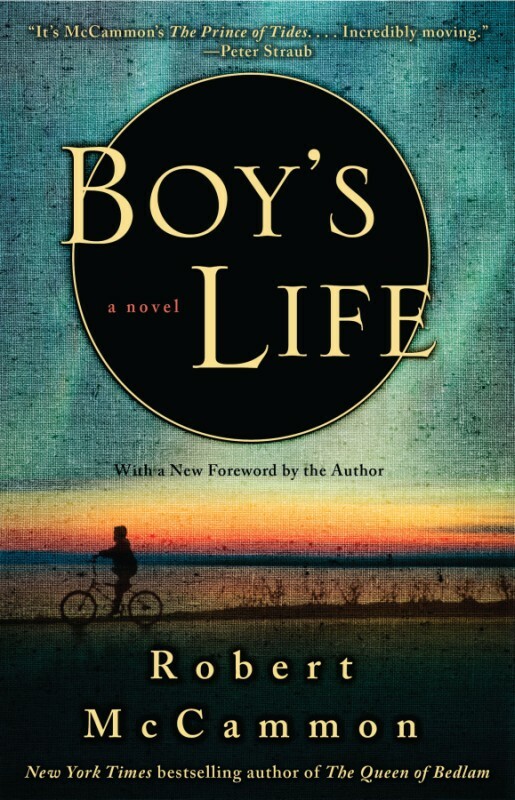 Boy’s Life – Robert McCammon « Random's 23 cents. The mornings began to whisper about sweaters! Man, who wouldn’t wish to be able to write like that! The story itself, in its beginning, sets the expectations just as high. Cory is a twelve-year-old boy in Zephyr, Alabama. It’s the sixties and this particular corner of the Earth seems to be under the protection of a magical spell against all the miseries of the world and the implacable passage of time. Until a man is murdered and plunged in the bottomless lake near Zephyr, a journey into oblivion that Cory witnesses on one chilly morning while helping his dad do the usual milk run. Who among Zephyr’s peaceful folk is capable of such a thing? Who is this stranger living among them? This is not McCammon the author speaking, but Cory the-grown-up, who has turned into a fine young, verging on middle-aged, storyteller. A remarkable sort of candidness, that is, but what he has tried to pull off is devastatingly hard. You don’t ride a bicycle, imagining that you are steering a raft. In the same way, you don’t write a novel disregarding the centuries of know-how for doing precisely that. The novel, as a form of fiction, is an artifact. You can even say it is a technology. It took time to arrive at it, lot’s of time, and it was strongly shaped (still is) by universal and cultural influences. And though admittedly very flexible (the fact that the novel still is the predominant literary form is the ultimate testament to that), it is not limitless. Those limits can be tested, redefined even, but some things just don’t work. It’s not merely that the narrator here is semi-omniscient. Other novels have this kind of narrators and they work fine. This one’s chief fault lies in its refusal to dramatize the story. We know from the very start that the narrator is either an older version of the protagonist or just a guy with a typewriter who made all that up. This guy has everything figured out and the reader gets that vibe easily. Stuff that Cory couldn’t have known at the time is revealed right away. The suspense of pretended ignorance is simply missing. Moreover, the narrator frequently gives his (tangibly grown-up) opinions about the events in the story. Instead of showing us the lines of tension, stressing the multiple viewpoints (and that too could be done with just one POV-character), the opposing attitudes and forces at play… instead of giving us drama, he tells us about stuff. And what he tells us about is not at all badly told or boring. But it never comes fully together as a novel. It is about childhood and the ghost of the past, about lost magic and days of infinite possibilities, before life narrowed them down to a reality. Melancholia is the chief mood, even though the excellent writing and the author’s knack for imagism and mythopoeia surely make for a very nuanced read. The human nuances, however, are too sparse. Real novels breathe human drama and that’s that. Boy’s Life never takes off in a novelistic sense, it feels more like a bead of stories that are quite tightly strung together, but would very much like to maintain a degree of independence. Maybe that is what the author genuinely wanted to do, I wouldn’t be surprised. This kind of structure can work, I suppose, within shorter page counts. Bradbury’s Dandelion Wine, which feels like a close relative to Boy’s Life (not surprisingly, The Golden Apples of the Sun by the grand master is among Cory’s favorites), is a prime example. McCammon’s book though, is perhaps three times longer. The novel as a form is bred to run long distances without losing its grip on the reader’s imagination. It is what it is for very good reasons, and Boy’s Life is a poor example of this breed. That could have been something timeless. A blend of magic and reality that would have been lit up like a Christmas tree by McCammon’s piercing metaphors and uncanny ability to capture the sense of a place. Think along the lines of HBO’s Carnivale, but steeped in childhood. Oh well, it might be just me. What can I say. It mostly works and, indeed, leaves you wishing for more, although perhaps in a slightly different sense. Which is an emotion I tend to associate more strongly with my grown-up(ish) life, not with my childhood years. When I loved something back then, I loved it without second thoughts and it was a reality unto its own. Novels are still the best way I’ve found to approximate that unconditional magic and, however much I love experimentation, I don’t think the author made the best choices with this one. It is his book though, and it is a good one, despite everything I’ve written. It just didn’t flow that smoothly for me. Or maybe it flowed much too smoothly. This entry was posted in Book Reviews and tagged adventure, Americana, childhood, magical realism, murder mystery, myth, Robert McCammon.